Do you struggle finding good managers? Ever hired a chain restaurant manager and really regretted it? 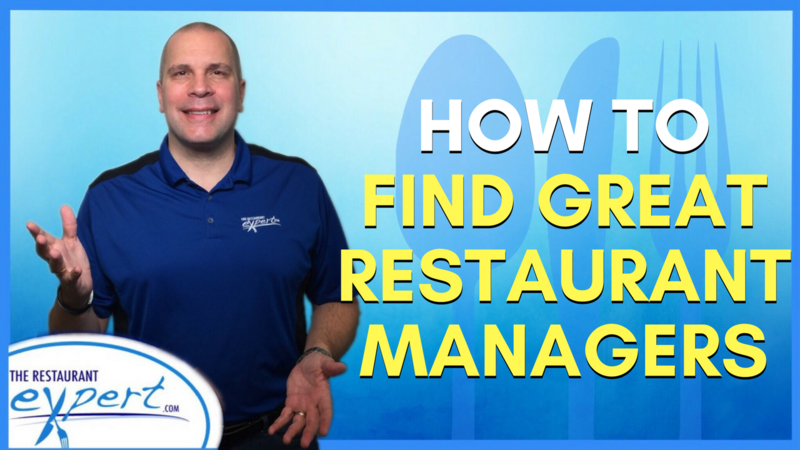 Watch this video to learn where to find a great restaurant manager and why a chain restaurant manager is probably not a good fit for your independent restaurant operation. Finding your next manager-in-training (MIT) or assistant manager (AM) is like searching for diamonds. You restaurant is your diamond mine. If you have done a great job in selecting line employees and an even better job training them, you’ll have a few diamonds worth searching for. You have to cultivate your employees to become diamonds. In your restaurant, bringing the diamonds to the surface where they can be easily recognized requires that the current management team creates a positive work environment for employees to flourish and grow. It requires that management is constantly training employees to do more. You always have to be looking! Don’t ignore the people right in front of you. Even if your management team is complete, you never know when one of them will move on or when you have the opportunity to open a new location and need to double your management team overnight. When I was the operations manager for an independent multi-unit brew pub and café in Phoenix, Ariz., early in my career, a part of my job was to hire new managers. We did like many restaurants do, we hired from the outside first because we didn’t feel like we had any good candidates in-house to choose from. One of my favorite mistakes was a general manager (GM) we hired from a big chain restaurant. He talked a fantastic game. He came from a successful chain with a good management training program. We thought, “This was our man!” But this man was all talk and no action. He actually held the record for being the fastest person fired from the ranks of management in our company. Another mistake we made routinely was hiring the wrong person from within. This happened a lot because we would sit a server, bartender or cook down and give them the speech. 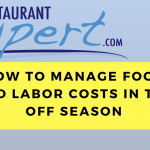 You know the one, “You have to take a step backward (in pay and loss of free time) to go forward in the restaurant business if you ever want to do more with your career.” This was our way of saying we want you to join our management team, you’re going to make less money and work a whole lot more than you ever did before. And then if you’re lucky, you just might eventually get to be the GM. This part wasn’t the mistake. The mistake happened as soon as they accepted the position. We handed them the keys, asked them to follow another manager for a few shifts and then let them go to survive or die on their own. There was no formal training whatsoever! We would do this year after year. Albert Einstein once said (and I’m paraphrasing here), that the definition of insanity is doing the same thing over and over again, yet expecting a different result. By this definition, we were nuts! To successfully find your diamond in the rough, follow these steps outlined when it comes to searching for your gem. Create your diamond mine through great selection and training of all of your line employees. Cultivate the soil by constantly training and creating a positive work environment for your employees to work in. Always be looking for your next management candidate. Put into place a Management Training Program! 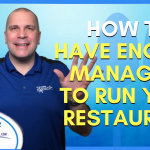 To learn more about how to find a great restaurant manager and setting up a management training program in your restaurant, read our special report, Breaking Away from the Insanity: How to easily take control of your restaurant and make more money. Download it here.